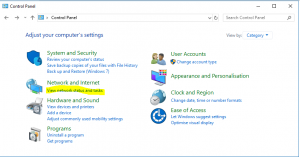 In some cases, you need to establish VPN before you login to Windows. 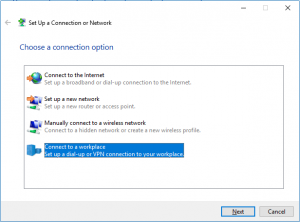 As some VPN clients offer this method (not all of them, of course), I had a requirement to create this option with Windows build in client. 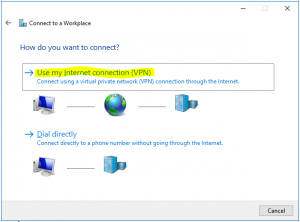 Here I found a trick; If you want to create VPN connection thru Windows settings, it will not appear on logon screen and this is not useful for me. 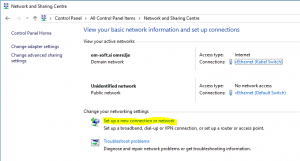 If you create VPN thru network and sharing centre it is different – VPN connection appears on logon screen. Makes sense? No, but if you need it, is good to know how to configure it. 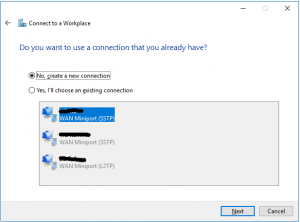 In Network and Sharing Centre you will find a wizard to create a new VPN connection by clicking on Set up a new connection or network. It is almost the same as in other ways, but if you create VPN here, it will appear on the start screen. It is important, that you create VPN for all users! 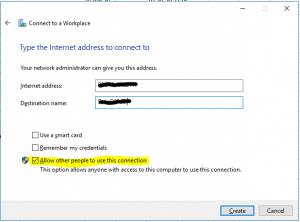 A connection done in this way will appear on logon screen and it is possible to establish VPN before you login in Windows.